Jim Cairl | No, YOU Tell It! Our own Kelly Jean Fitzsimmons was interviewed about how our series might help a fiction writer. Read the interview on About.com here. Then give a listen to our special “Fiction Edition” show to hear firsthand how No, YOU Tell It! works across genres. These stories were recorded live on June 17th at Jimmy’s No. 43 and feature two alums who came back to kick-off the summer by switching-up fun, frightening, and for the first-time ever FICTION stories. We opened up our special show with an unsettling tale written by Jim Cairl that may keep you up at night wondering if, and more importantly, WHEN you will wake up. 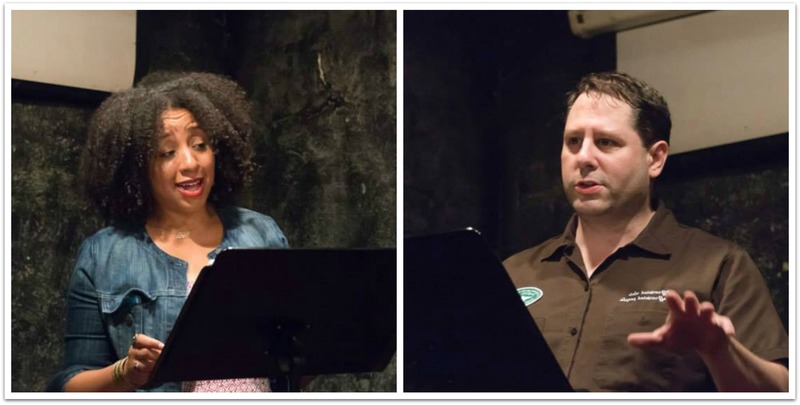 Read here by Raquel I. Penzo is “The Sleeping Season” written by Jim Cairl and directed by Erika Iverson. Switching it up, a young girl confronts spending what’s left of her youth behind bars due to a violent act. But, by focusing on the recipe for her Nana’s farina, she brings a bit of comfort to her prison sentence. Jim Cairl performs “Breakfast with Nana in the Small Visitor’s Room” written by Raquel I. Penzo and directed by Kelly Jean Fitzsimmons. Jim Cairl is an actor, writer, and does a mean karaoke of It’s The End Of The World As We Know It (And I Feel Fine). Some of the more recent shows he’s appeared in are Richard III, Death of a Salesman, Flowers of Uptown and Himmelreich. Jim also penned a (very) short film that will be shot in July. Jim won on the television quiz show Jeopardy!, which is a story that he will tell to anyone who listens until the day he dies. Lastly, he’d like to thank Madeline, Ava, and Finn (his three lovely children) and Victoria (his very patient wife) for putting up with his odd schedules and needing to be alone in a quiet room for a while. Raquel I. Penzo is a Brooklyn, NY, native of Dominican descent who has carved a career for herself as a writer, editor, and literary event curator. She hosts the New Voices Reading Series each quarter in NYC and works as a copywriter at Brooklyn Public Library. Raquel authored the self-published My Ego Likes the Compliments…And Other Musings on Writing, and the short stories, “Grey Matter” (Blue Lake Review), “Perspective on a Murder” (Mason’s Road), “On a Blue Day” (You Should Be Here), and “Enfermos” (Rose Red Review). An anthology of works from participants of her reading series was released on April 2014. Visit Raquel online at RaquelPenzo.com.